I am so glad you are here! I invite you to grab a cup of coffee, sit a spell and #gocrosseyed™. I am truly excited to be partnering with Yeti! These coffee mugs and water bottles will remind you all day long to keep your eyes focused on Jesus no matter what the day throws at you by reminding you to #gocrosseyed™. It will keep your cold drinks cold, hot drinks hot and has a 5 year warranty. Stainless steel inside, dishwasher safe and the shipping is always free. These beautiful notebooks have 150 pages of lined paper and can be used for prayer journals, journaling, or office note taking. The beautiful artwork used is the original artwork of my daughter, Madison. Choose from lots of various designs. The designs may change seasonally, and shipping is always free. Don't have time to plan what's for dinner? Don't worry! I have already done all the planning for you. Click here to browse several meal choices ranging from family favorites to budget friendly. Download a week's worth of dinner recipes and a dessert complete with shopping list for only .99¢. Download to your smartphone, and you are ready to shop. Dinner is as good as done! This life can be busy, can't it? We drop kids off at school, rush off to work and then have to take a kid to hockey practice after school. After hockey practice, there is the mad rush to get home to make dinner, and you have no idea what to make. The dog throws up on the carpet right in the middle of getting the kids to bed, and you remember you haven't done the laundry let alone a quiet time with the Lord. I want you to know that I get it. I really do. 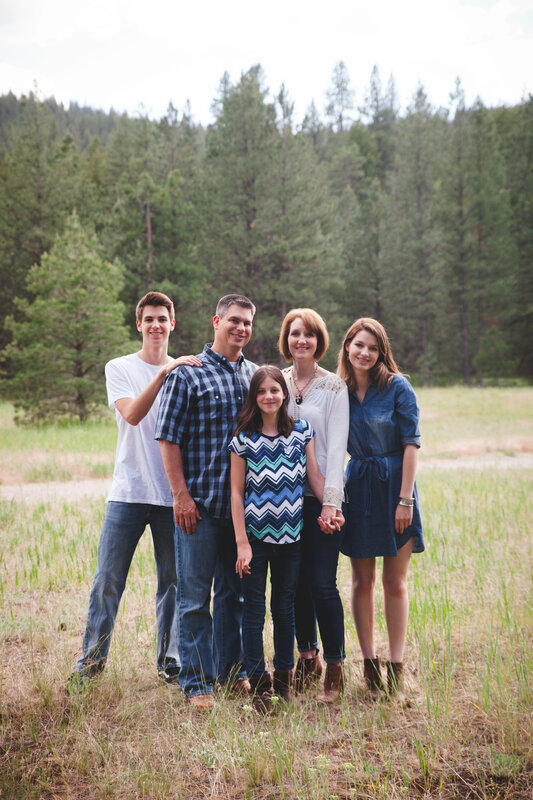 First and foremost, my main goal in writing this blog is to honor God above anything else. I will always pray and desire to only write biblical truth to encourage you in your walk with Him. 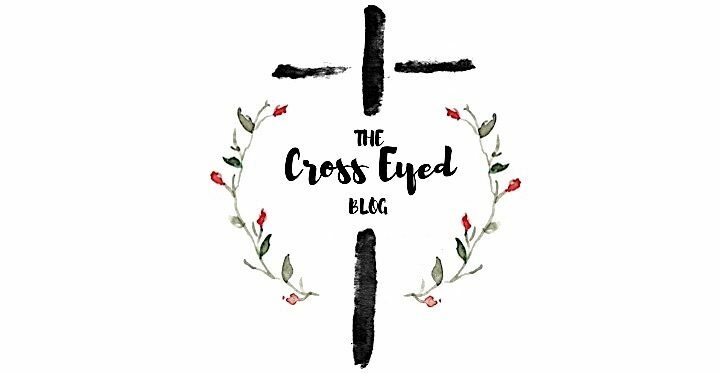 I hope you use this blog as a supplement only to your individual reading, studying, and meditating on God's Word. Second, I want to encourage you. I have meet so many women who all seem to talk about how little time they have or how they would like to be more consistent in their prayer time, quiet time, etc. None of us can or will be perfect, but we can all encourage one another daily to grow closer to Christ (Hebrews 3:13). Third, I want to sell only high quality products which can assist you, encourage you, and/or hopefully give you more time in your schedule. Downloadable meal plans complete with shopping list for only .99¢ save you time and money by doing all your meal planning for you. 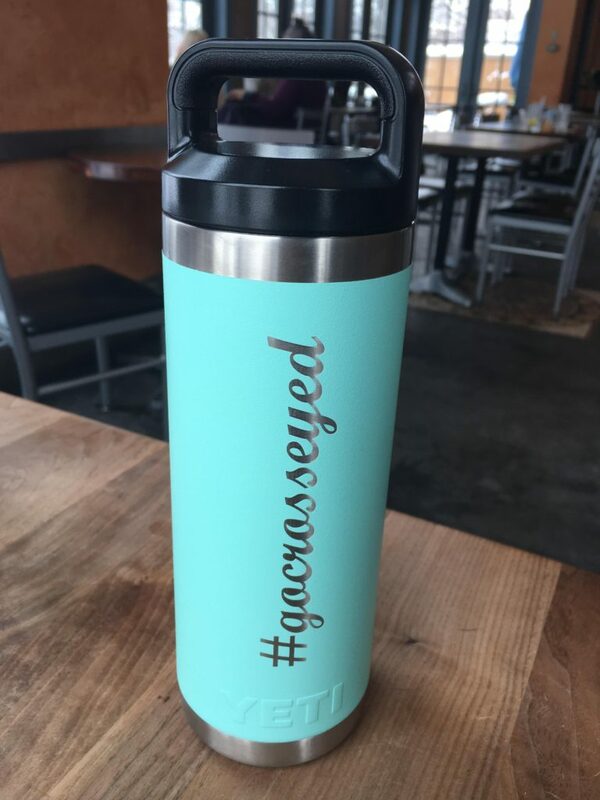 Yeti tumblers or water bottles with #gocrosseyed ™ on them will encourage you to keep your eyes focused on the cross of Jesus Christ throughout the day. 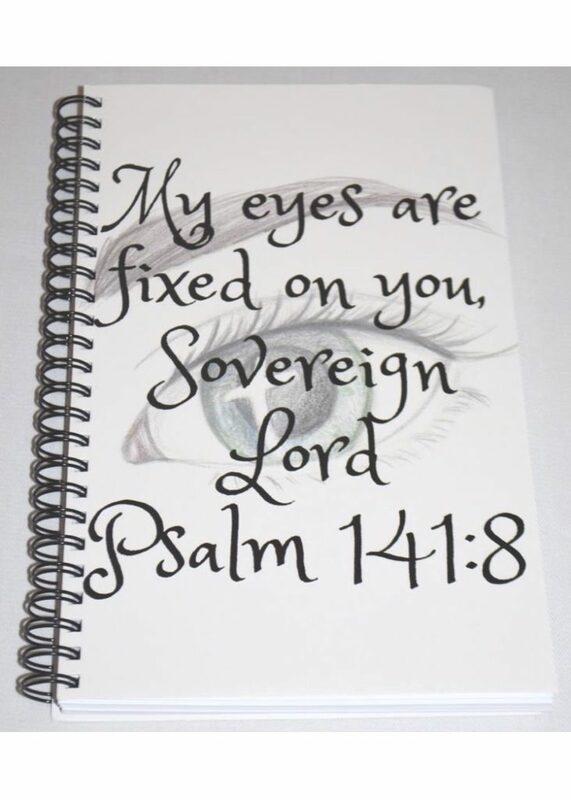 I also sell notebooks with gorgeous artwork which can be used for prayer journals or journaling. I hope you love these products as much as I do! To read more about me and my story, visit my About Me page. God Bless! Save time and money by letting me do all of your weekly dinner planning for you. 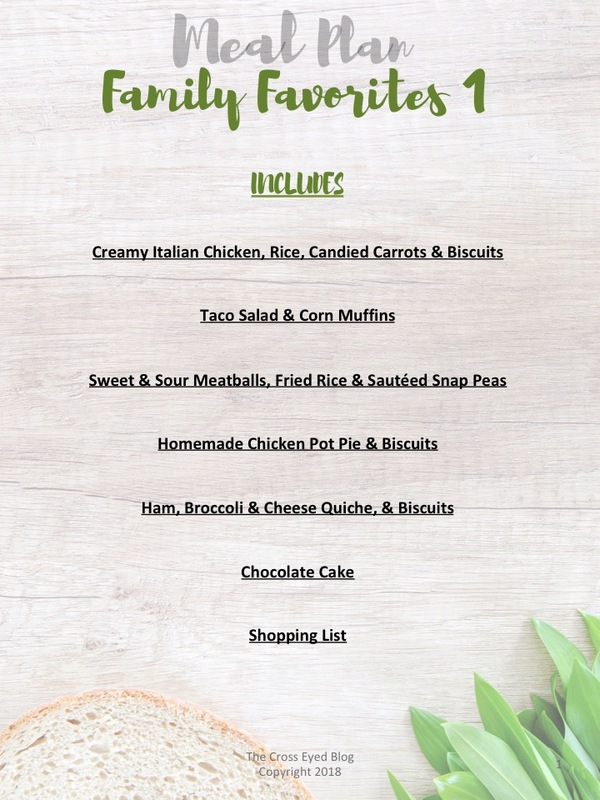 Download 5 dinner recipes and 1 dessert with shopping list included to get you through your week for only .99¢.